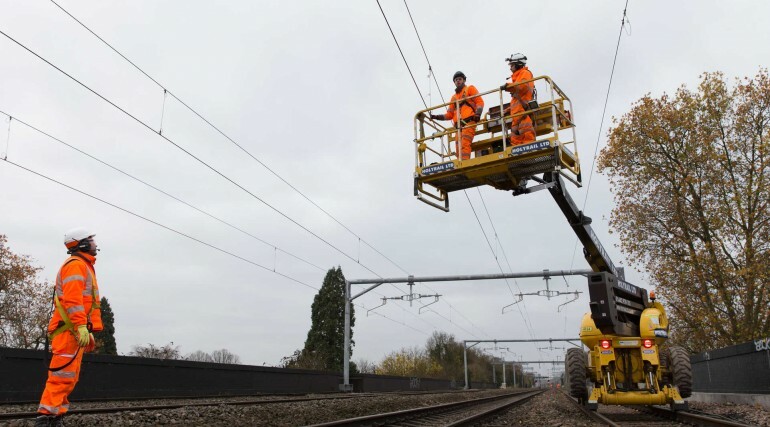 First electric wires for Crossrail programme switched on in Thames Valley - Crossrail . For information about the Elizabeth line please visit the Transport for London website. 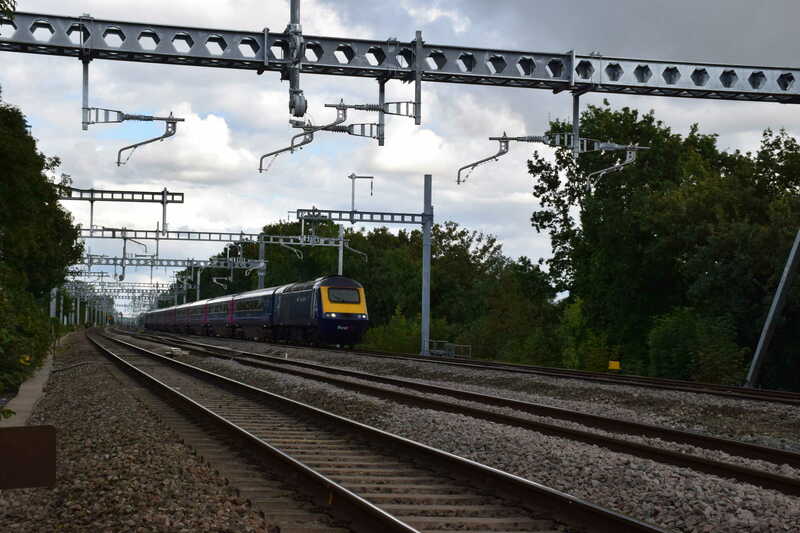 Thames Valley rail passengers can look forward to better journeys and the introduction of new GWR trains in 2017 following the achievement of the latest milestone in the electrification of the railway between Heathrow junction and Maidenhead by Network Rail as part of the Crossrail programme. After more than a year of work, the electricity has now been turned on along the first section. 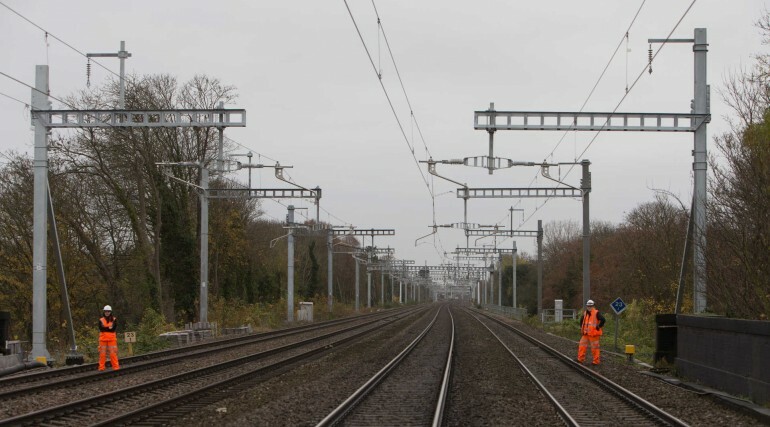 The remaining section will be turned on next year allowing new electric GWR trains to run between Maidenhead and London Paddington from summer 2017. 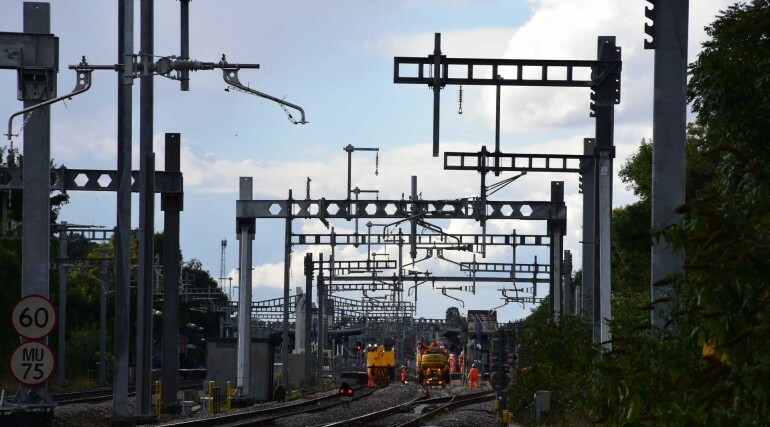 The work is part of the Crossrail programme and Network Rail’s Railway Upgrade Plan to provide a bigger, better, more reliable railway for passengers and businesses. 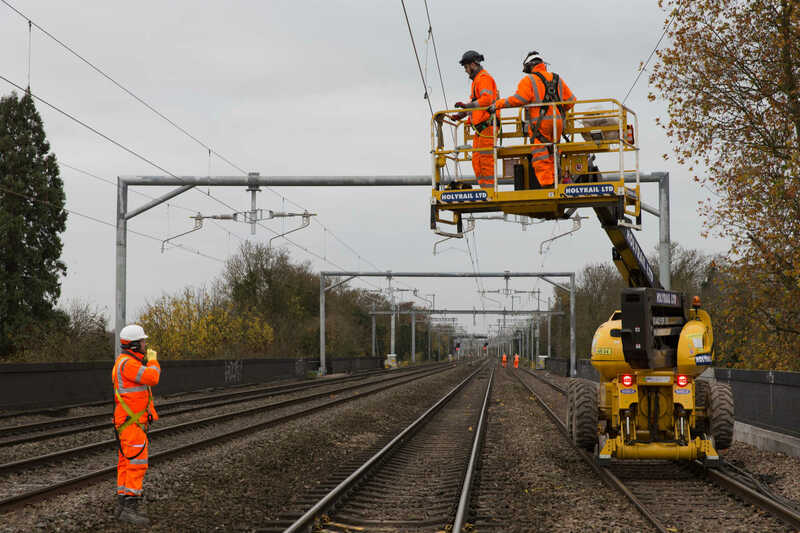 To bring passengers quieter, greener and more efficient journeys, Network Rail has carried out this major infrastructure investment programme, allowing the introduction of the Elizabeth line trains and GWR’s electric trains to the Thames Valley. 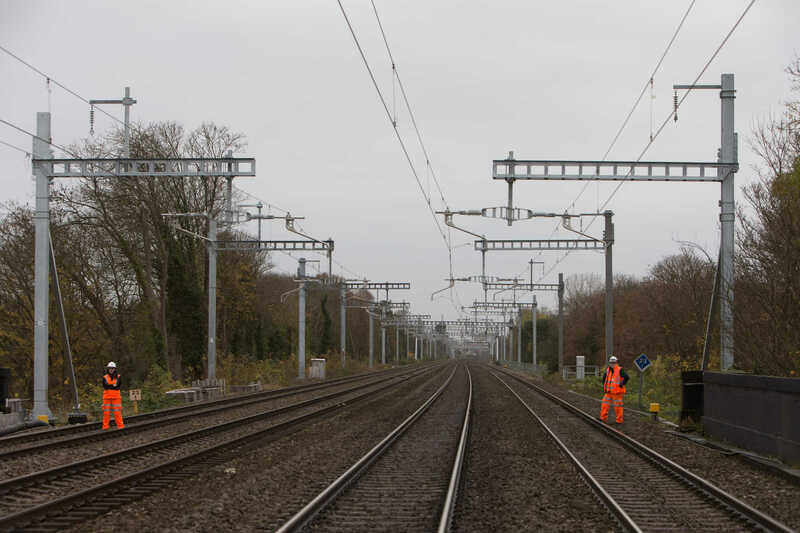 Electrification to power the new trains requires the installation of overhead line equipment alongside and above the existing track. 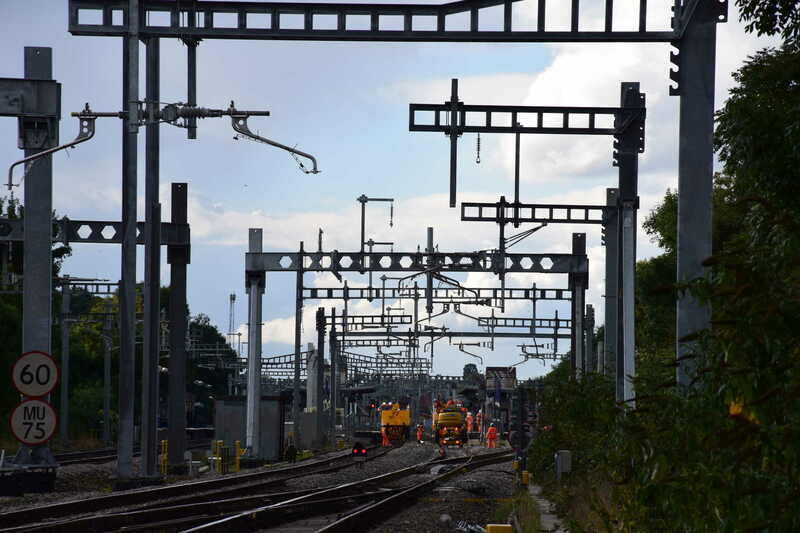 It consists of overhead wires running between supporting steel posts to distribute electricity. The steel posts are mounted on heavy duty foundations. 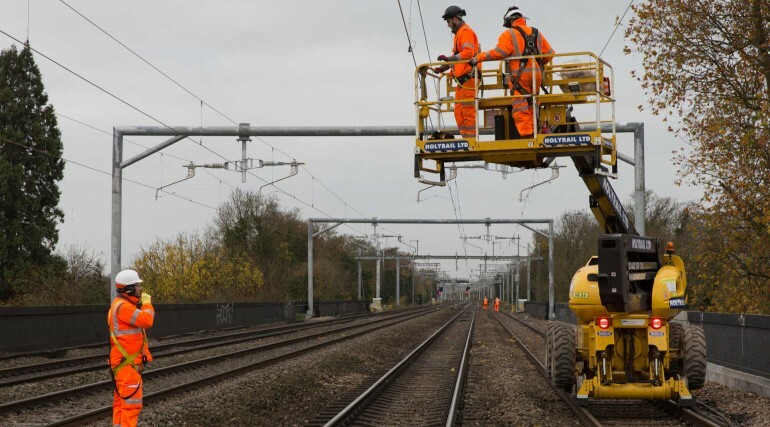 An 800-strong workforce has successfully installed over 1,400 piled foundations and 834 overhead line structures. 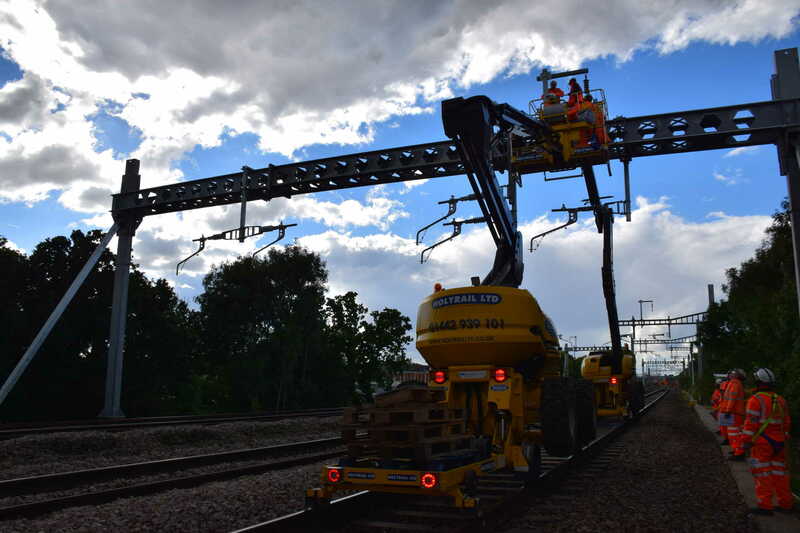 More than three quarters of the wiring programme, which sees 150km of wires strung between the new equipment, has now been completed. 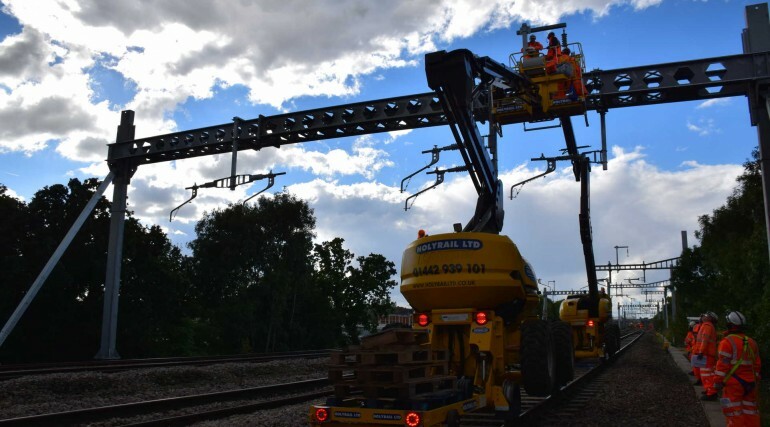 From summer 2017, GWR will be able to extend its electric train services to Maidenhead, which currently stop at Hayes & Harlington. 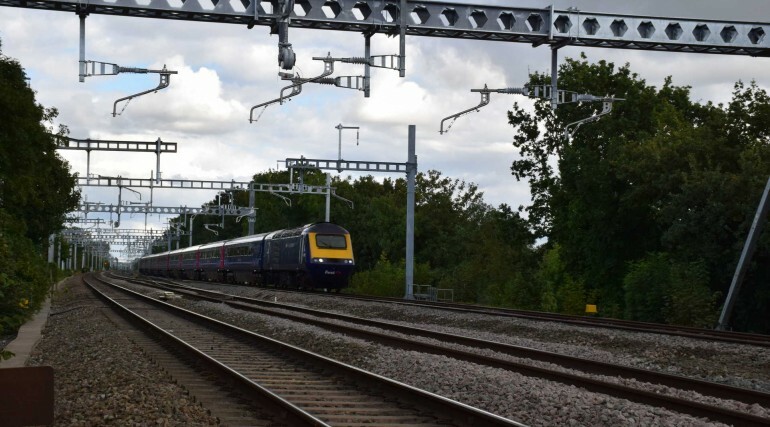 When the Elizabeth line opens fully in December 2019, passengers in the Thames Valley will be able to travel on new trains right through central London without having to change at Paddington. “I would like to thank the local residents and businesses for their patience as we undertake this sometimes noisy construction works”.